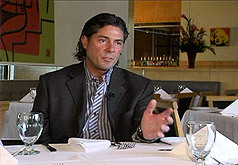 Truly a signature RI restaurant for 25 years now, meet owner Ralph Conte and you'll discover why! Impeccable surroundings, great food, wonderful ambiance and owner Luciano Canova… What a combination! Legendary award winning brunch and spactacular views make the Bay Voyage Inn a perfect venue for today's wine segment. Get a bottle of Ca' Montini Pinot Grigio too! 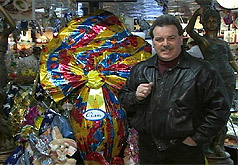 Easter's in the air at this gourmet's paradise and at sister restaurant Costantino's Ristorante Caffe! 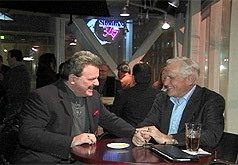 Legendary NFL Coach Don Shula has 'touched down' in RI with a great new steak house at the Providence Hilton Hotel! 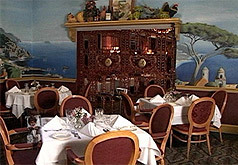 There's always something delicious at this Northern Rhode Island dining classic for 10 years now! Executive Chef Emily Spinazola of Providence Oyster Bar and Providence Prime tempts us with an incredibly creative twist on "Surf and Turf" from S&W's Jenn-Air Designer Kitchen.